Have you ever considered what makes you feel loved? Or how you show others that you love them? If not, here’s a “decoder” that will help you identify your love language. In The Five Love Languages, Gary Chapman discusses the different ways that people show love. 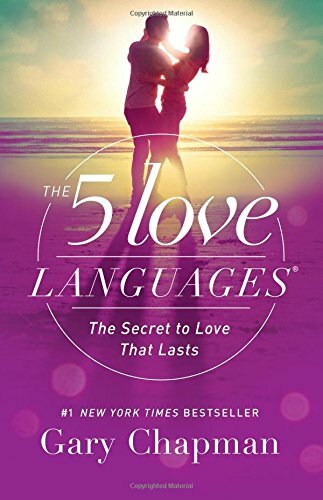 He compares them to languages and states that you have to learn your spouse’s “language” so that is is possible to communicate your love to her. The need to feel loved is at the heart of marriage; you enter into marriage expecting to always know that your spouse loves you. The secret to doing this is speaking the proper love language. As you read through the descriptions of the different languages, see if you can spot the one that best describes your spouse so that you can best communicate with them. Words are important! Hearing the words, “I love you,” is important important, and hearing the reasons behind that love can send spirits soaring upward. Verbal compliments (both alone and in front of others) mean the world to you, and being encouraged can mean the difference between completing something or not. Sticks and stones may break bones, but insults and words can be crushing. Nothing says, I love you, like focused, undivided attention. Not just spending time together, without any kind of distractions. 15 minutes a day can have a huge impact. Fortunately, there are a lot of things you can do together for free. Never taking time out just for your spouse can be especially hurtful. It really is the thought that counts. Taking the time to put effort, thoughtfulness, and love into the gift makes all the difference. Fortunately, great gifts can be free. This isn’t materialism, but a focus on the love the gift shows. Nothing is worse than a missed gift-giving opportunity or a thoughtless gift, except for the absence of everyday gestures. Did you know that you can show love by vacuuming the floor? Taking the time to do things for your spouse is a great expression of love; an even more powerful one when they know it’s something you don’t like to do. The chores don’t get done because you want to, but because you are doing them to show love. Fortunately, you get to show love while doing things that have to be done anyway. Laziness and broken commitments can cause you to lose major love points. Holding hands, kissing, and embracing can be powerful vehicles for communicating love. This language manifests itself in very touchy people. Physical presence is vital and can be strengthened by such actions as running your hand through their hair, giving back rubs, and sitting close to each other. Physical avoidance can be torturous. Did you find one that describes your spouse? What about yourself? Keep in mind that each language can have different “dialects” or variations. If you’re having a hard time identifying yours, you might want to answer these 15 questions to find it. Ask your spouse take it as well, so that you can show her that you love her in the best possible way. Once the euphoria of being “in love” wears off (which is normally about two years), continuing to love each other can be hard work. Real love is intentional, uniting reason and emotion. It involves an act of will, requiring discipline and a willingness to grow personally. Meeting your spouse’s need for love is a choice that you make each day. Once you know their primary love language and choose to speak it, their deepest emotional need will be met and they will feel secure in your love. I re-read this book every year or two as a reminder about how to best show my wife how much I love her. This book has been on our shelf since around the time we got married and will always have a place there. It’s one of the books that I most commonly recommend to anyone in a relationship. All of the links to this book are affiliate links, which means that if you buy one through this link I will earn a few pennies – so while your price won’t be affected at all, you will be helping me keep the site up.